Are you facing issues with your Android phone, is it not showing up on the computer?? This is the very basic and most annoying issue you get when you are not able to connect your smartphone to the PC. 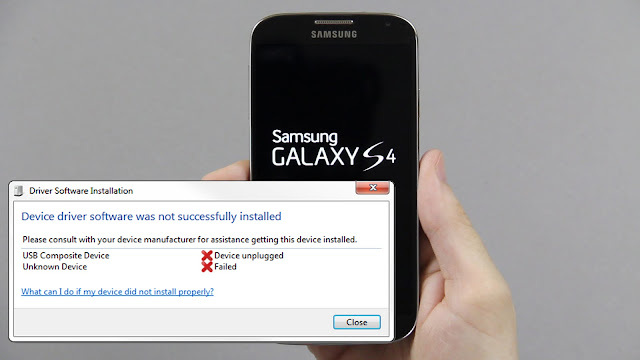 This error is commonly found in Samsung Galaxy S4, S5 and other Galaxy S series devices. The computer usually fails to find the USB connection on the smartphone. Still, you will be able to notice the charging sign, the smartphones begin to get charges as soon as you connect it to the PC. Here is an easy guide for all the beginner who wants to fix the Samsung Phones Not Showing up on computer issues. Sometimes when you search this issue on the web, you would be asked to download Samsung drivers and Samsung Kies, still, the error of Computer Unable to Recognize Samsung Galaxy S4 or other Galaxy S devices will persist. This article will provide you a detailed understanding of the issue and they will help to fix it. This method will totally work for another model of Samsung smartphones like the Samsung Galaxy S series device like Galaxy S3, S4, & S5 which has a similar problem. Follow the below-mentioned methods to quick fix the issue. Before connecting your smartphone to the computer system, always make sure to enable the debugging option of USB. In order to do so, follow the below mentioned steps. Following this steps will help you to enable the USB debugging mode on your smartphone. Step 1: Unlock the Samsung phone and open Settings option. Step 2: Tap on the About option and then move to the built number option under it. Step 3: The next step is to tap 7 times on the found built number option. This will activate the developer mode of your smartphone. Step 4: Now, open the setting option again and move to the developer options. Step 5: Under the developer option you will be able to notice the find USB debugging option. Step 6: You can notice that the USB debugging option is enabled. Now, try to connect your android device to your PC. This is a little time-consuming option, you need to try out different USB cables. Always make sure that the USB cable is in working condition, if not try out different USB cable to connect with your PC. Use the USB cable which comes along with the smartphone. You can give a try with the Samsung USB cable that comes along with the phone while purchasing. Plug the cable in the USB v2.0 slot. Before connecting the device to the PC , make sure the phone is unlocked. Once you have connected, check the camera option and then install drivers to your PC. The next step is to unplug the android phone from PC. Wait for few seconds and then plug the phone back into the PC. Make sure the phone is unlocked during the entire process. The last step is to turn off the notification bar, post that select the option Connect as a media device. Open the dial panel, enter *#0808#. Then at the USM setting select MTP. This method will ensure that you don't need to choose the media device every time in order to connect with your android phone. Step 1: The initial step is to connect the smartphone to your PC. Step 2: The next step is to open the Device Manager of your phone. Step 3: Once you open the device manager and press the Windows + R key. This will open the Run program. This method completely works for all latest windows operating system i..e Window 7, 8, 8.1, and 10. Step 4: The next step is to enter “Devmgmt.MSC” command and then click on the enter button. The smartphone should be connected to the computer. Step 5: Open the Other devices option, you will be able to notice a yellow color mark displayed along with the Samsung Android or Unknown Device. Step 6: The final step is to right click on the option and select "Update Driver Software…..." option. At least choose the option Search automatically for "Update Driver Software..." You will be able to notice that the MTP drivers are downloaded automatically on your PC. Once the MTP drivers are downloaded completely, check your device whether it is connected to your PC or not. If not check out the next method. If you have not installed the Samsung USB Driver in your PC, follow the below-mentioned steps. You can easily download and install the Samsung USB Driver on your computer by following this steps. Step 1: Click on the https://www.samsung.com/us/support/downloads, this step will allow you to download the USB driver for your smartphone. Step 2: You need to follow the onscreen instruction in order to download the drivers. Step 3: Then select Phones >>Phone services>>Model number of your device. Step 4: Now, you will be able to notice the get download option, tap on it. Find the USB and then click on enter. Step 5: You can download the Samsung USB Driver. After completion of downloading option, install and step up the Samsung USB Driver on your PC. Restart your computer and smartphone. Connect the smartphone to your PC, it will begin to recognize and work.